Articles Medigap Coverage vs. Medicare Advantage: What's the Difference? 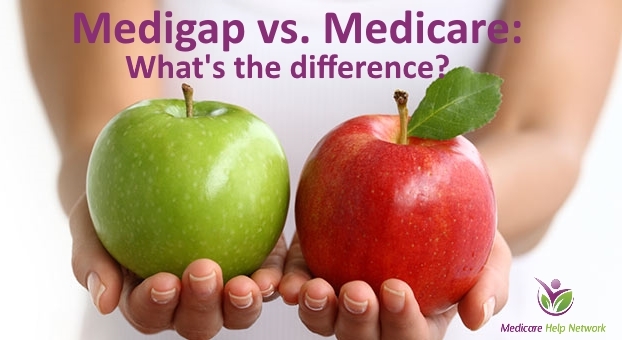 Medigap Coverage vs. Medicare Advantage: What’s the Difference? AS SOON AS YOU REACH 65 AND ARE ELIGIBLE TO APPLY FOR MEDICARE, YOU ARE ALSO ELIGIBLE TO PURCHASE A MEDICARE SUPPLEMENT POLICY. YOU WILL BE GIVEN A ONE-TIME OPEN ENROLLMENT PERIOD TO ENROLL IN ANY MEDIGAP PLAN WITH NO HEALTH QUESTIONS. YOUR OPEN ENROLLMENT PERIOD IS THE FIRST SIX MONTHS FROM THE FIRST DAY YOU SIGNED UP FOR MEDICARE PART B. DURING OPEN ENROLLMENT, YOU CAN SIGN UP FOR ANY SUPPLEMENTAL PLAN AND YOU ARE GUARANTEED COVERAGE. THEY CANNOT TURN YOU DOWN BECAUSE OF PRE-EXISTING MEDICAL CONDITIONS. AFTER THE OPEN ENROLLMENT PERIOD ENDS, MEDIGAP COMPANIES WILL REQUIRE YOU TO ANSWER HEALTH QUESTIONS ON FUTURE APPLICATIONS, AND YOU MAY BE TURNED DOWN. THIS MAKES OPEN ENROLLMENT THE BEST TIME TO SIGN UP FOR A MEDIGAP PLAN. DON’T CONFUSE YOUR MEDICARE SUPPLEMENT OPEN ENROLLMENT WITH THE ANNUAL ELECTION PERIOD IN THE FALL. THE PERIOD THAT RUNS FROM OCTOBER 15TH – DECEMBER 7TH EVERY YEAR IS FOR CHANGING YOUR PART D DRUG PLAN OR ADVANTAGE PLAN. IT IS NOT A TIME WHEN YOU CAN APPLY FOR ANY MEDIGAP PLAN AND GET APPROVED WITHOUT HAVING TO ANSWER HEALTH QUESTIONS. NO ANNUAL PERIOD FOR THAT EXISTS. YOUR ONLY PERIOD TO DO THAT IN MOST STATES IS THE ONE-TIME 6-MONTH WINDOW THAT I MENTIONED ABOVE. IN A COUPLE OF STATES OF LIKE CALIFORNIA AND OREGON, THERE IS AN ANNUAL 30-DAY PERIOD WHEN YOU CAN ENROLL IN A MEDIGAP PLAN WITHOUT HEALTH QUESTIONS, BUT ONLY IF YOU ALREADY HAVE A MEDIGAP PLAN AND ARE SWITCHING TO AN EQUAL OR LESSER PLAN. IT DOES NOT APPLY TO PEOPLE WHO WANT TO SWITCH FROM NO COVERAGE OR MEDICARE ADVANTAGE COVERAGE OVER TO MEDIGAP COVERAGE. THAT KIND OF SWITCH GENERALLY REQUIRES YOU TO COMPLETE A FULL APPLICATION WITH HEALTH QUESTIONS. EACH MEDIGAP INSURANCE COMPANY SETS THEIR OWN RATES. YOU CAN COMPARE PLANS BASED ON THEIR PREMIUMS. BE SURE TO ALSO LOOK AT THE PLAN’S HISTORY OF RATE INCREASES. YOU WANT TO ENROLL WITH A CARRIER THAT HAS COMPETITIVE RATES NOW AND A LOW RATE TREND. HERE AT MEDICARE HELP NETWORK, WE HAVE THE KNOWLEDGE AND INFORMATION FOR EVERY CARRIER IN THE COUNTRY. WE CAN ALSO SEE FINANCIAL RATINGS, WHICH IS ANOTHER FACTOR YOU WANT TO CONSIDER WHEN CHOOSING A PLAN. FORTUNATELY, THERE’S ANOTHER OPTION. LET’S TAKE A LOOK AT MEDICARE ADVANTAGE PLANS AND LEARN WHAT THEY DO TO HELP YOU COVER THE GAPS IN MEDICARE. FOR THOSE WHO MAY FIND THAT THE PREMIUM FOR A MEDIGAP PLAN DOES NOT FIT WITHIN THEIR BUDGET, A MEDICARE ADVANTAGE PLAN IS A GOOD ALTERNATIVE. IN FACT, THESE PLANS WERE SPECIFICALLY CREATED TO PROVIDE MEDICARE BENEFICIARIES LIKE YOURSELF WITH AN ALTERNATIVE TO ORIGINAL MEDICARE + MEDIGAP. MEDICARE ADVANTAGE PLANS ARE SOMETIMES REFERRED TO AS “PART C” PLANS. ONE POPULAR FEATURE OF MEDICARE ADVANTAGE PLANS IS THAT MOST INCLUDE COVERAGE FOR PRESCRIPTION DRUGS (PART D). THESE PLANS PAY INSTEAD OF MEDICARE (AS OPPOSED TO AFTER MEDICARE, AS MEDIGAP PLANS DO). WHEN YOU JOIN A MEDICARE ADVANTAGE PLAN, MEDICARE PAYS THAT PLAN TO DELIVER YOUR CARE. MEDICARE ADVANTAGE PLANS GENERALLY HAVE NETWORKS OF PROVIDERS THAT ACCEPT THEIR PLAN. THAT NETWORK MIGHT BE JUST IN ONE OR TWO COUNTIES OR OCCASIONALLY WE SEE THEM INCLUDE A WHOLE STATE. YOU AGREE TO TREAT WITH THOSE PROVIDERS ACCORDING TO THE PLAN’S RULES. THE MOST COMMON TYPES TODAY HEALTH MAINTENANCE ORGANIZATIONS (HMOS) AND PREFERRED PROVIDER ORGANIZATIONS (PPOS). STANDARD HMO PLANS REQUIRE YOU TO SEE ONLY PROVIDERS IN THEIR NETWORK, EXCEPT IN EMERGENCIES. THIS IS MORE RESTRICTIVE THAN A PPO PLAN, SO WE OFTEN FIND THAT MEDICARE HMO PLANS COSTS LESS THAN MEDICARE PPO PLANS, BUT NOT ALWAYS. ENROLLING IN A MEDICARE ADVANTAGE PLAN DOES NOT REPLACE WHAT YOU PAY FOR PART B. YOU MUST CONTINUE TO BE ENROLLED IN BOTH MEDICARE PARTS A AND B BEFORE YOU CAN JOIN A MEDICARE ADVANTAGE PLAN IN YOUR AREA. WE’VE SEEN A NUMBER OF PEOPLE OVER THE YEARS GET THIS WRONG. THEY ENROLL IN MEDICARE ADVANTAGE AND THEN THEY DISENROLL FROM PART B. THE MEDICARE ADVANTAGE PLAN THEN KICKS THEM OUT. YOU MUST BE ENROLLED IN BOTH PARTS A AND B AND LIVE IN THE PLAN’S SERVICE AREA TO JOIN A MEDICARE ADVANTAGE PLAN. WHAT THROWS PEOPLE OFF IS THAT IN SOME AREAS THERE ARE SOME MEDICARE ADVANTAGE PLANS WITH WHAT WE CALL A $0 PREMIUM. THIS MEANS YOU DON’T PAY FOR THE PLAN ITSELF, BUT IT DOESN’T MEAN YOU GET OUT OF PAYING FOR PART B. HOW CAN ANY PLAN OFFER A $0 PREMIUM, YOU ASK? REMEMBER, THE PLAN IS BEING PAID BY MEDICARE TO DELIVER YOUR CARE….TO TAKE ON YOUR RISK. SO, THE INSURANCE COMPANY OPERATING THE PLAN CAN SET THE MONTHLY PREMIUM AT WHATEVER THEY WANT. THEY SET THE PREMIUM AS LOW AS POSSIBLE TO ATTRACT PEOPLE LIKE YOU TO THEIR PLAN. MEDICARE ADVANTAGE PLANS HAVE ANOTHER FEATURE THAT IS ATTRACTIVE. THEY ASK ONLY ONE HEALTH QUESTION, SO THEY RARELY TURN ANYONE DOWN FOR COVERAGE. PEOPLE WHO SUFFER FROM END-STAGE RENAL DISEASE ARE NOT ELIGIBLE FOR MEDICARE ADVANTAGE. HOWEVER, YOU CAN ONLY ENROLL IN MEDICARE ADVANTAGE PLANS AT CERTAIN TIMES OF THE YEAR. THIS PREVENTS PEOPLE FROM JUST WAITING UNTIL THEY GET SICK TO GET COVERAGE. IF YOU DON’T ENROLL IN A MEDICARE ADVANTAGE PLAN DURING YOUR INITIAL ENROLLMENT WINDOW, THEN YOU WILL HAVE AN ANNUAL CHANCE TO DO SO EACH YEAR IN THE FALL FROM OCTOBER 15TH – DECEMBER 7TH. THIS IS CALLED THE ANNUAL ELECTION PERIOD. IF YOU GET SICK IN FEBRUARY, AND YOU CAN’T GET INTO A MEDICARE ADVANTAGE PLAN UNTIL NEXT YEAR, YOU COULD SPEND A GREAT DEAL BETWEEN FEBRUARY AND DECEMBER. SO, IF YOU LIKE THE IDEA OF ADVANTAGE PLANS, ENROLL IN ONE BEFORE YOU NEED IT. HAVING THE RIGHT MEDICARE SUPPLEMENT IS WORTH THE COST. YOU HAVE MANY OPTIONS FOR COVERING THE GAPS, SO WHY HAVE THE STRESS OF WONDERING IF YOU’RE FULLY COVERED EVERY TIME YOU GET SICK. AS WE GET OLDER IT’S INEVITABLE THAT WE’LL NEED MORE AND MORE MEDICAL CARE. IF YOU ARE LIKE MOST OF US, YOU CAN’T PAY THAT MUCH OUT OF POCKET. A MEDIGAP PLAN OR MEDICARE ADVANTAGE PLAN WILL MOST LIKELY SAVE YOU THOUSANDS IN THE LONG RUN AND IS A SMART INVESTMENT TO PROTECT YOU FROM CATASTROPHIC MEDICAL SPENDING.